Shure Incorporated has offered legendary performance, unparalleled sound and unstoppable durability for musicians and music enthusiasts around the world since 1925. As a privately held company in Japan since 2006, it was time to move the Shure Japan office into a bigger space as a result of accelerated business growth and to accommodate for future expansion. Shure has been instrumental in shaping the course of history as a common fixture on the world’s biggest stages. With award-wining lineups and exciting product launches coming up, there was a great need to create a presentation showroom that could measure up to the ‘Shure experience’. 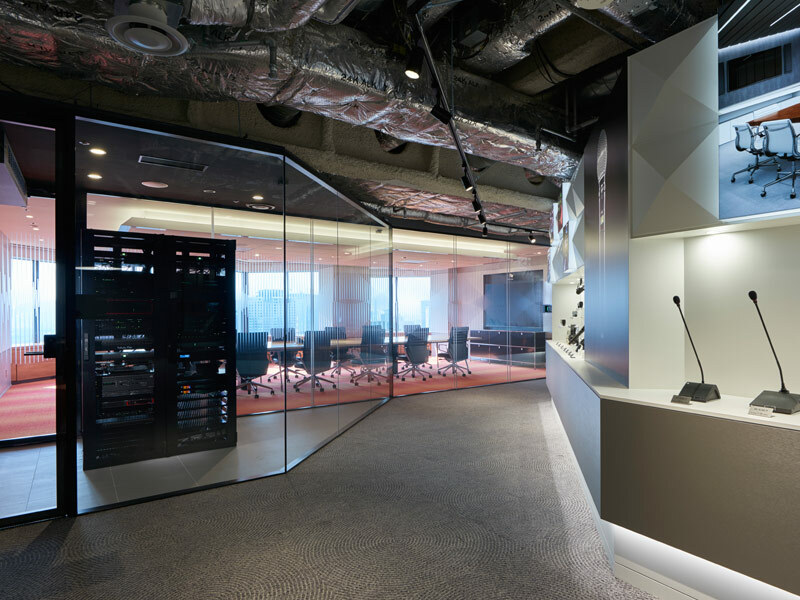 Together with the design aesthetic of our SL+A associates, Shure Japan’s vision of a stunning showroom office became a reality through the complete redesign and interior decoration of the unique dual function site. 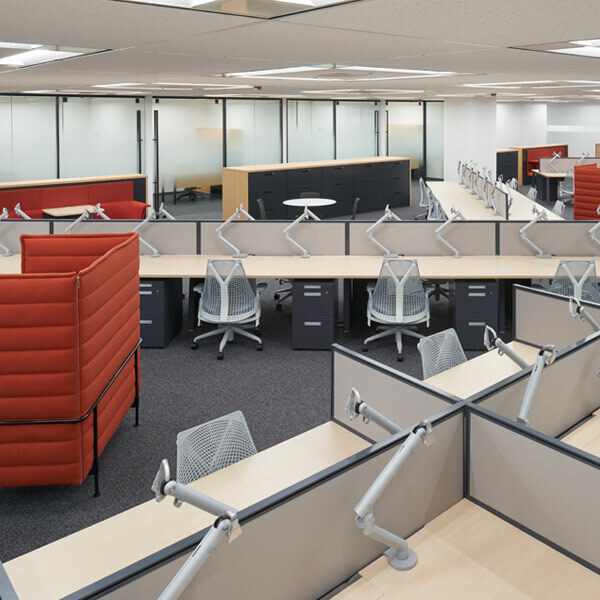 Completed in 2017, employees and guests of Shure Japan have enjoyed working in and visiting the spacious 907 square meter office located on the 35th floor of the Shiroyama Trust Tower. The sleek and modern common areas utilize a minimalistic approach that contrasts with the sprawling metropolis below. The central seminar room is always accessible to clients and audio connoisseurs alike for meetings and demonstrations – a focal point of the shared space. Surrounding the seminar room is the public showroom that wraps around the outer perimeter of the collaborative meeting area. The showroom features dark walls and spotlight illumination to really capture the attention of viewers, who can learn about highlights of Shure’s long and varied history through a mixture of print and audio or video mediums. Products from their wide range of microphones, earphones, headphones and more are displayed prominently to demonstrate new features and capabilities. Visitors are able to freely pick up and test out products to discover a brand-new realm of audio experiences. 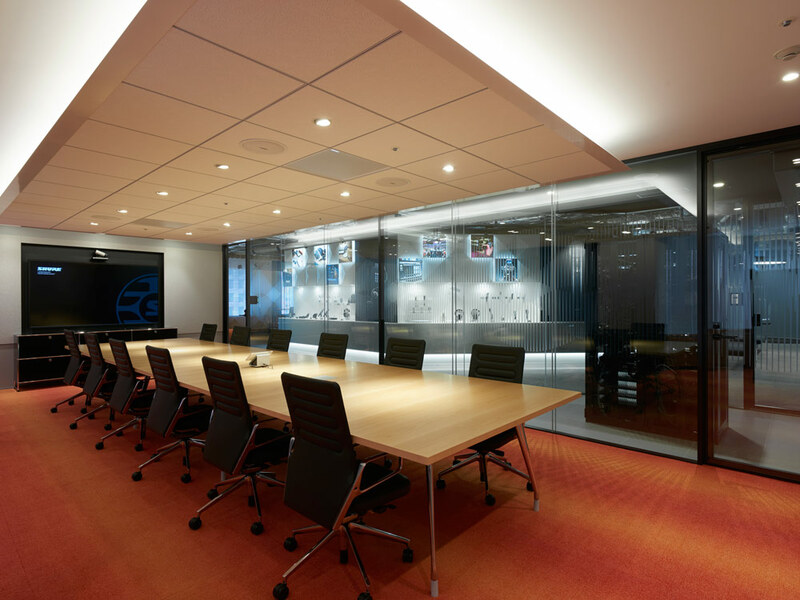 Of course, every meeting room is also equipped with the latest in Shure audio technology, which can be controlled with precision from the glass enclosed IT room. 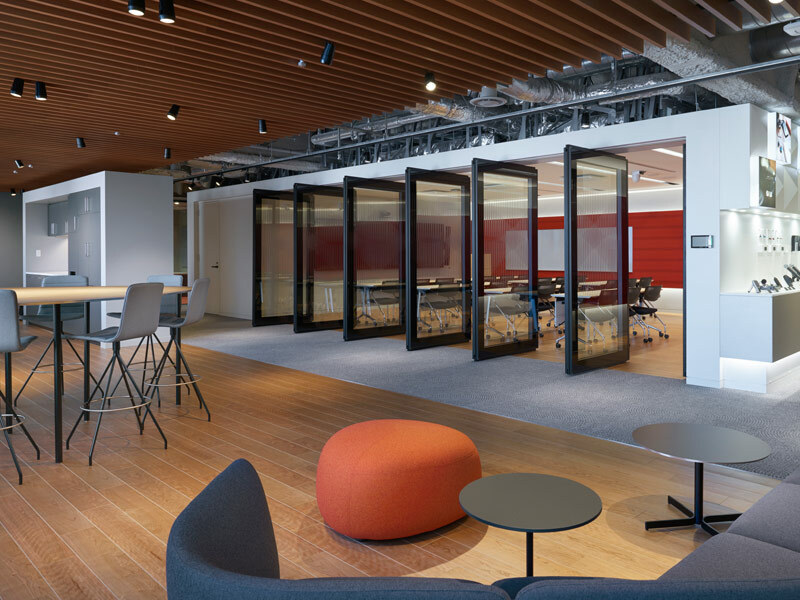 Additional meeting rooms and private offices were incorporated into the design of the office to accommodate the multitude of client events and internal gatherings hosted by Shure Japan. Ergonomic workstations were the main focus of the back-office, where we adopted the same color palette of neutral grey, cream and white, with some accents of a bright red to tie together the modern theme. Functional yet playful, the workstations can be easily reconfigured in different orientations and allows for a flexible set-up of the office. 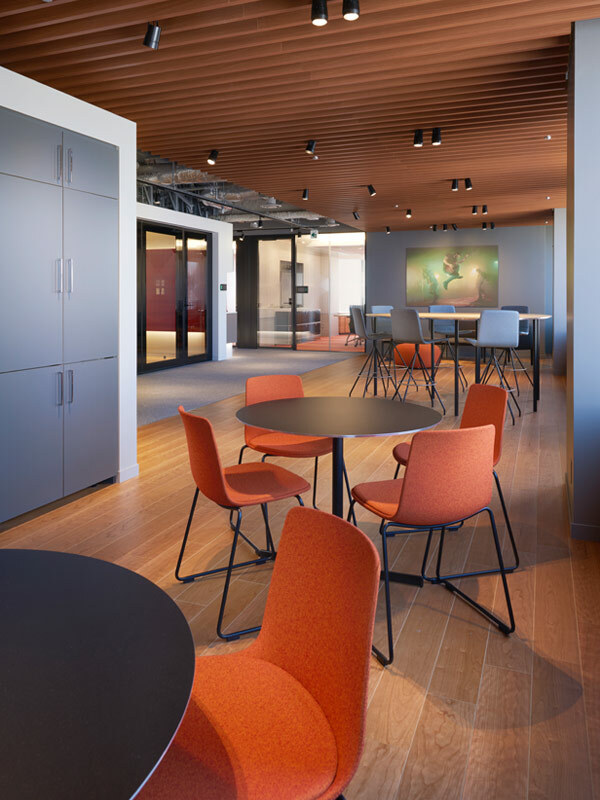 Suitable for the nature of this dynamic company, the versatile space contains options for collaboration and teamwork, and sound-proof areas closed off from the main work area. Shure is a company that is passionate about engaging audiences and redefining audio to inspire excellence in creation. Every team member works in harmony to develop flawless products that they can be proud of. Shure strives to offer the best customer service in the industry – a true measure of a company who cares deeply about their craft.